The official tyre of the world Superbike championship dedicated to professional riders and to sporting users who are looking for top performance on wet surfaces. High performance and total control even in severe wet surface conditions. 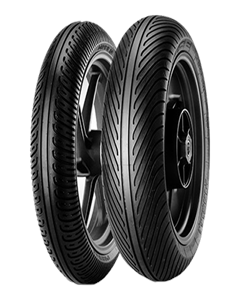 Excellent traction and stability at high speeds, with high performance and optimised wear lap after lap. Effective also for use on Supermotard bikes.